Who doesn’t love Conversation Heart Candy! Well how about making a cookie version for Valentines! And what if I told you you could make some in just a few minutes with the way I make them. 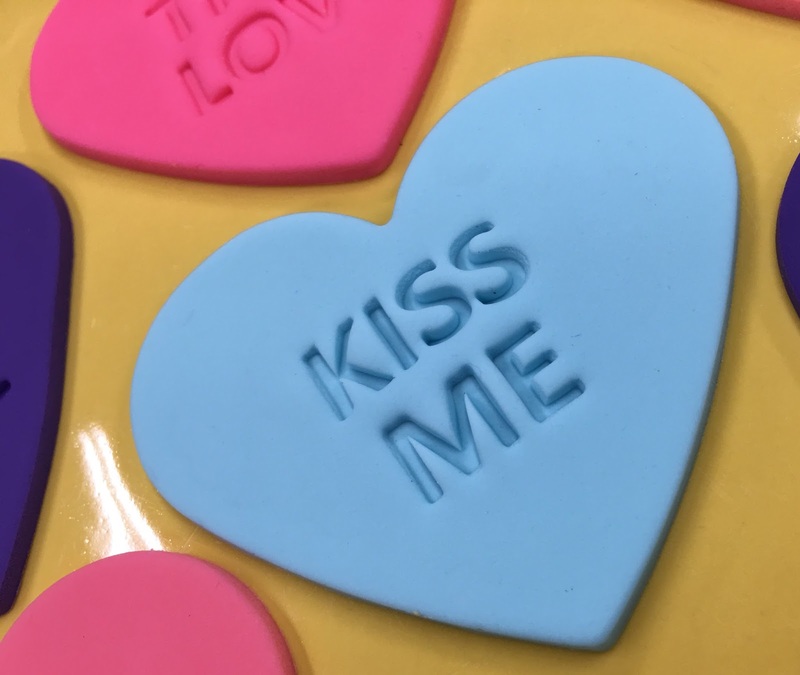 I found some great cutter/embossers for making Conversation Heart Cookies. I love how the embosser is on the other side of the cutter so you can choose the thickness you want on your fondant/modeling chocolate. Or if you are going to pipe on the cookies with royal icing you can emboss it directly on the cookie! You can find the cutters HERE! Watch how I make them in the YouTube video below! And if you want to make some of your own you can find them HERE!